There are many men and women who go above and beyond the call of duty in our area, who deserve to be recognized. They work around the clock to make sure our great City is kept safe at all times. The life of a police officer can be a dangerous one, but I’d say the pros outweigh the cons. 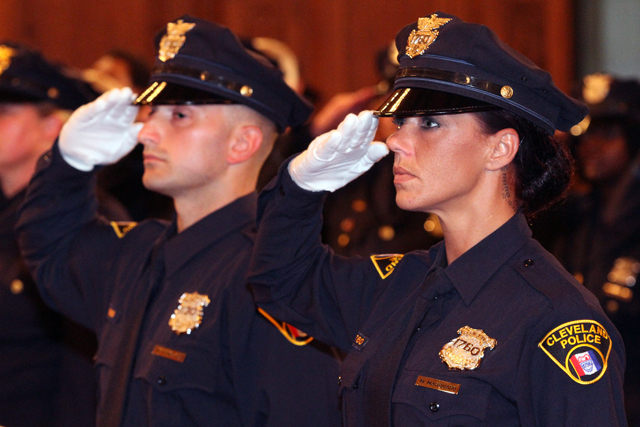 34 men and 1 woman joined the ranks of the Cleveland Division of Police, when the department graduated its 132nd Academy class. 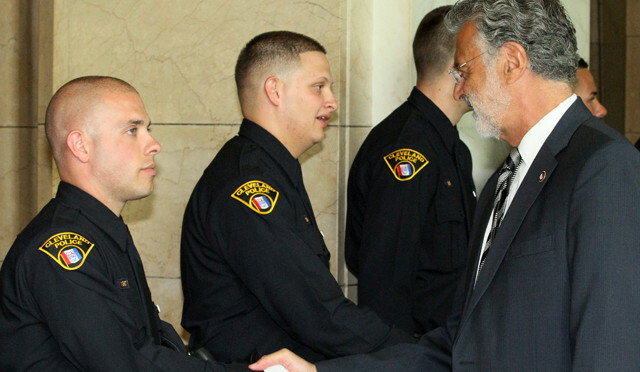 Mayor Frank Jackson officially swore in the department’s newest patrol officers with backgrounds ranging from machinists, all the way to police officers who are Veterans of the Army, Marine Corps, Peace Corps, and the Navy. 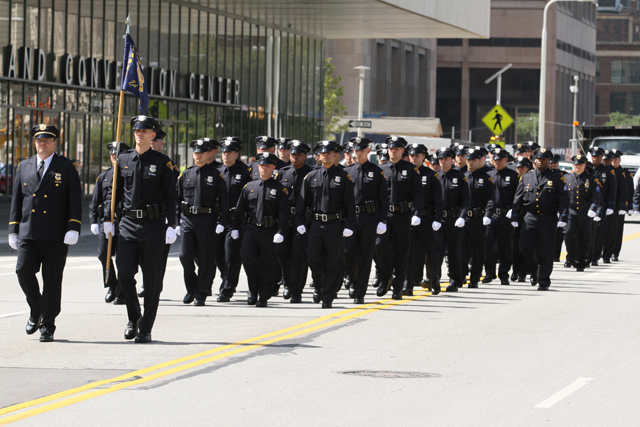 Many members of the community hope to one day become one of Cleveland’s hero’s. This ceremony commemorated those 35 people who seized that opportunity. Chief of Police Calvin Williams told the graduates they joined the department’s 1,463 current sworn officers at an exciting time. What an honor! He stated that, ” The task of protecting the safety and security of our residents is not going to be easy. 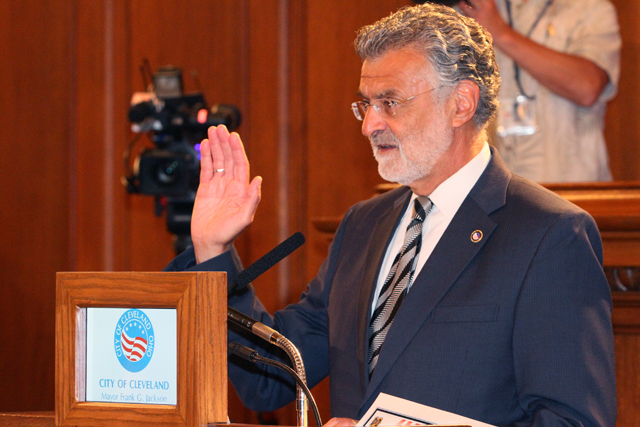 But with what I see in this class and the leadership in this department, we will meet the challenge.” Each graduate has rightfully earned their way into this one-of-a-kind class, with their ongoing effort to serve Cleveland. Timothy Lieb, a new officer echoed Police Chief William’s words, in his short but effective speech. He went on to say, “Cleveland is a city on the rise. 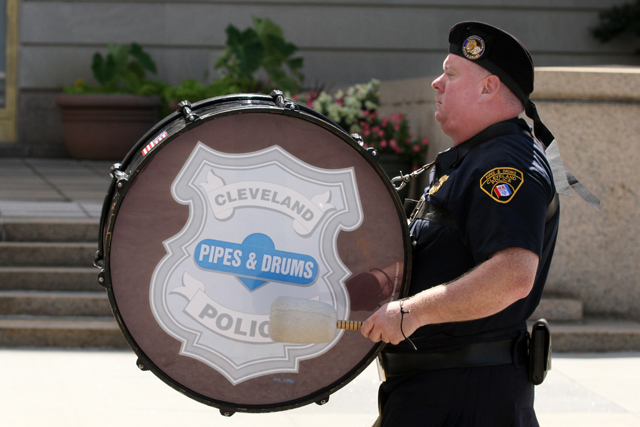 Cleveland has a lot to be proud of.” We as loyal members of the Community defiantly agree! From the recent Gay Games 9 that were held, to the RNC coming in 2016, to the return of King James, and of course, Johnny Football- we have plenty of reasons to smile. With all of that hype, adding the 132nd class of officers is sort of like the cherry on top of a sundae for Clevelanders. 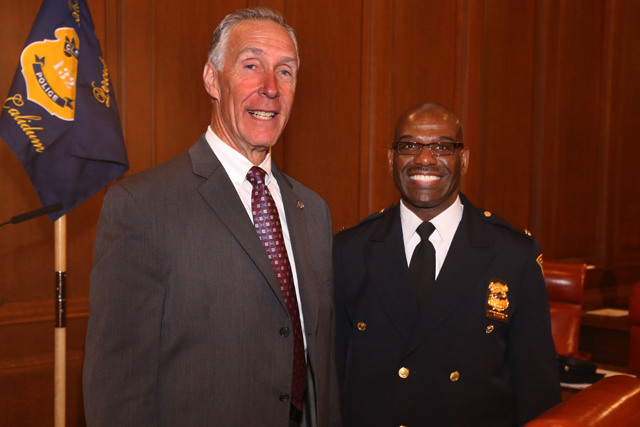 Cleveland City Councilman Matt Zone was also at the milestone event and encouraged the officers to be “ambassadors of the city” and to be excellent community police. There isn’t a doubt that the fellow graduates will do just that. The day was extra special for current Cleveland police officer Kim Marti, who got to watch her son Erik graduate from the academy on her birthday. Talk about the best birthday gift ever! 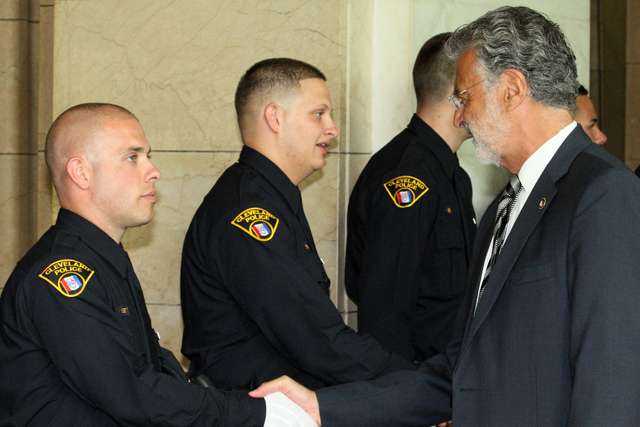 We congratulate the 35 newest officers to join the Cleveland Division of Police, and wish them the best in their new-found journey. To catch the whole ceremony, stay tuned to TV20! Check our schedule for times.